Sathirakoses-Nagapradipa Foundation in collaboration with the International Network of Engaged Buddhists want to mark the 2,600 years of the Buddha?s Enlightenment, as well as his first sermon and the establishment of the Sangha in 2525 (or 2012 in the Common Era) by Thai calculation. 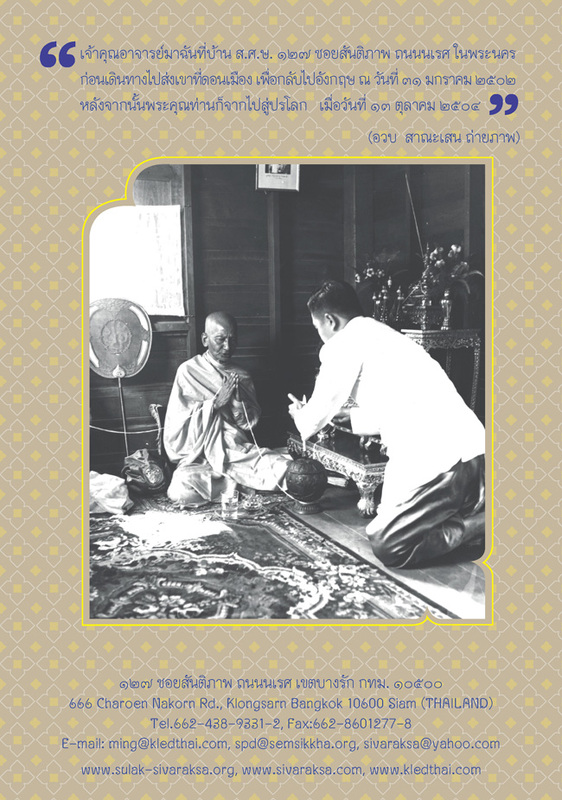 The small joint effort is 1) to produce Thai books for the public to study the Buddhist teaching in order to follow the noble eightfold path established by the Master. These books should help the readers in basic Buddhist teachings of the Buddha on morality (sila), meditation (samadhi), and wisdom (pa? ?a) from a Thai Theravada tradition. This is needed because the situation of the Buddhist establishment in Siam, perhaps like in other socalled Buddhist countries, has become chaotic and confused with superstition, feudalism, nationalism male chauvinistic and consumerism. Besides good teachers are less available. Some are good only at helping people for personal seeds of peace. Others concentrate on Buddhist approaches to social welfare. Hardly is there anyone who could lead people for social change in the age of globalization or extreme modernity, which is part and parcel of social structures which are full of violence, promoting greed and delusion. Recommended Buddhist books for the public will not only rely on Thai authors. We hope to have foreign books on Buddhism translated into Thai so that Thais can have broader views of other yanas, if those too could help the readers to put the teaching into practice to transform greed to generosity, hatred to loving kindness and delusion to proper understanding or wisdom. If this works, Buddhists in other countries may do likewise. To go beyond 2,600 years of Buddhism, we need to do whatever we can for the future of the sasana to be more positive and more relevant to the people in society as well as for the generations to come. 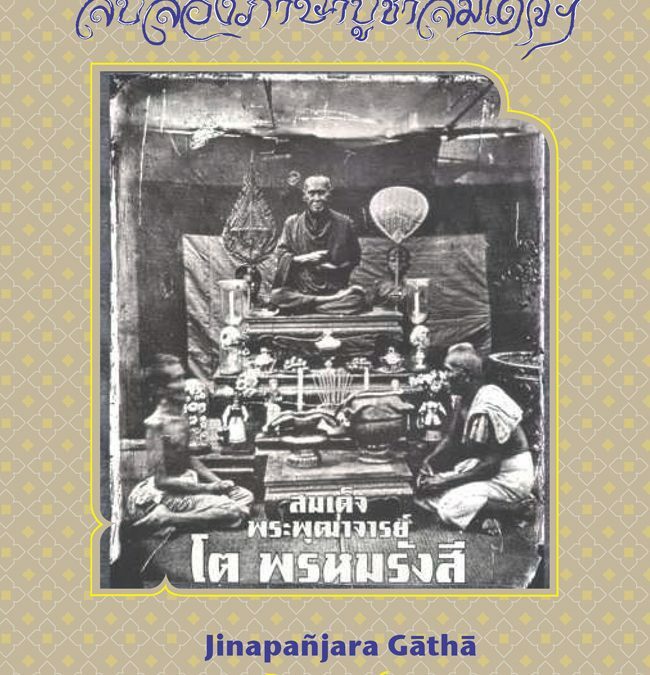 Since Sulak Sivaraksa was one of the founders of the Sathirakoses-Nagapradipa Foundation and International Network of Engaged Buddhists and devoted to Jinapa?jara G?th? in the Pali tradition, we thought this may be the beginning of a project to make the teachings of the Buddha available in Buddhist countries which share a culture similar to the Theravada tradition. Hence we asked friends of Sulak Sivaraksa to transcribe this G?th? into several local or national scripts, since Pali has no script of its own, plus translation into these languages.We are glad that within a short time we had good responses to have scripts and translations from friends in Burma (Burmese, and Shan scripts) Cambodia, Laos, Sri Lanka and India (Hindi, and Tibetan). We are grateful to them all. We have not yet ventured into Chinese, Japanese, Korean or Vietnamese lanquages, as Jinapa?jara G?th? may be unknown to them. We trust that this will be a small present to Sulak Sivaraksa?s 80th birthday on 27th March 2026 (2013). He himself has started to distribute this G?th? in Pali, Thai and English to honor his late teacher, the Venerable Phra Bhadramuni (In) of Wat Thongnopakhun on the latter?s 120th birth anniversary on 15th March 2556 (2013). 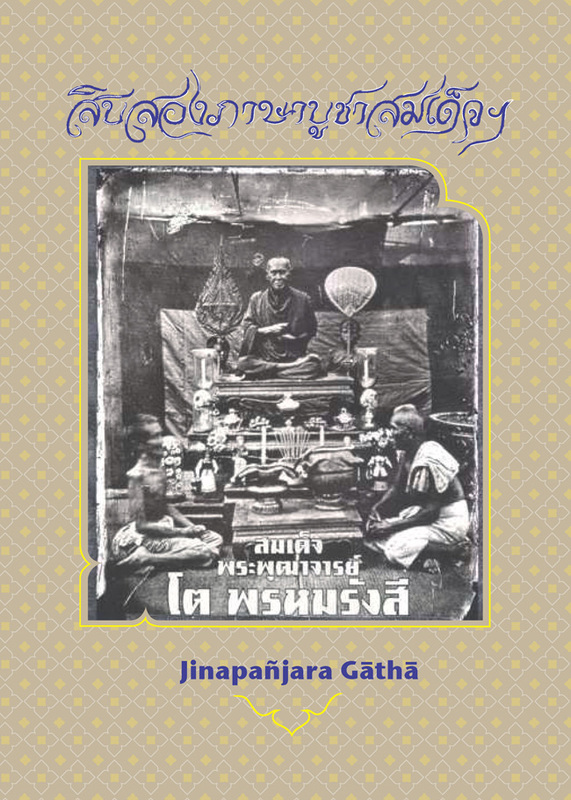 We also add Sulak?s short presentation at Kyoto, Davos and Phnompenh in the appendix, plus Thai translation.We hope this small volume will be useful to Thai and foreign friends of Sulak Sivaraksa May all beings be happy and peaceful with social justice and ecological balance.